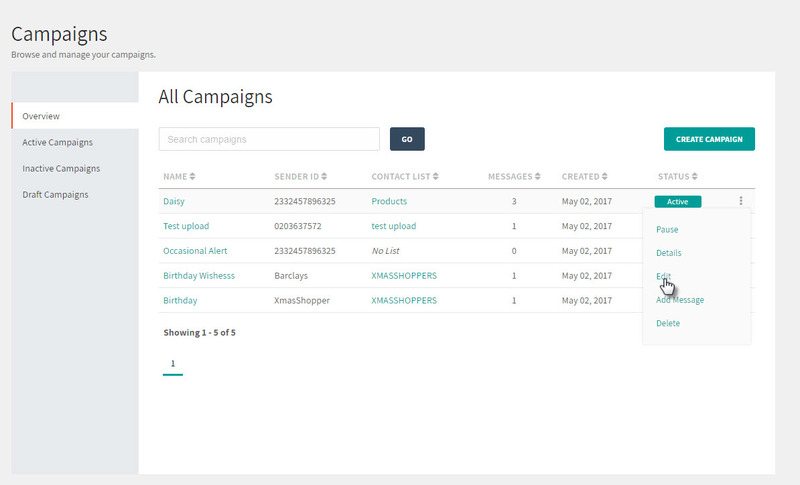 Go to the Campaigns tab at the top of the Automate homepage. 4. Make the desired changes to your campaign name or sender ID. 5. Select Save to update your campaign.